Value of card: One copy of Ricky Martin's "She Bangs"
Yes, those bangs do go all the way up. It looks the same in the back as it does in the front. It's so crazy, it threw off the registration on the printing press. Mitch didn't intentionally keep his hat up at an angle. The bangs repelled all coverings. 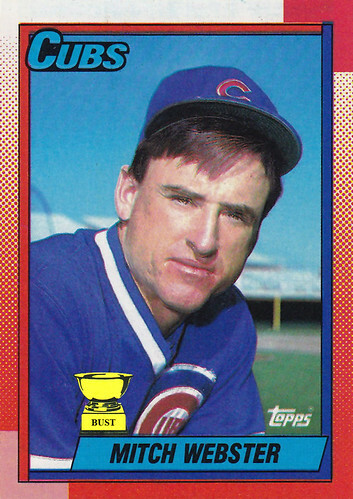 It's not nearly as embarrassing as the Cubs' 1990 season. It's covering up an enormous zit.